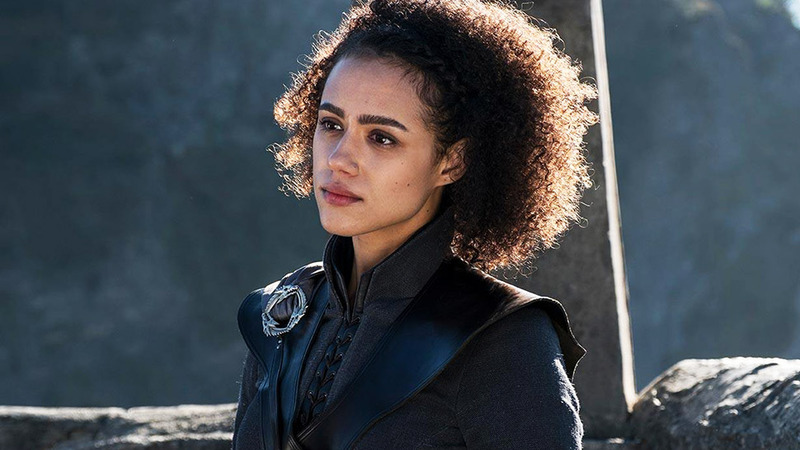 The women of Westeros, Essos, and beyond have shown incredible strength throughout the death, destruction, and despair that surround the world of Game of Thrones—and they sure looked good while they’re at it. 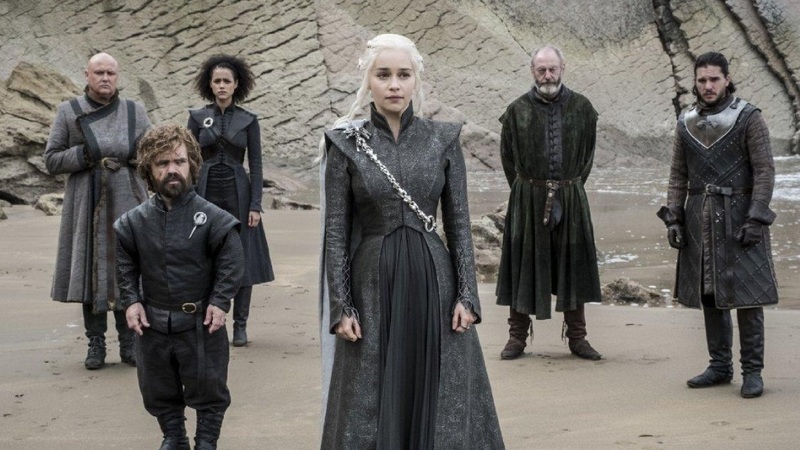 They also stay true to the famous sayings, Valar Morghulis (“All men must die”) and Valar Dohaeris, as they continue to slay the Seven Kingdoms by serving up some killer style choices. We have lead designers Michele Clapton (Seasons 1-5), April Ferry (Seasons 6-7), and a hundred-strong costume department to thank for blessing us with a beautiful wardrobe that almosts distracts us from the medieval action. More than providing pegs for our inspiration board, these outfits reflect the cultural details (beadwork and House insignia) and personality of the wearer, thus adding another layer to the narrative through visual cues. 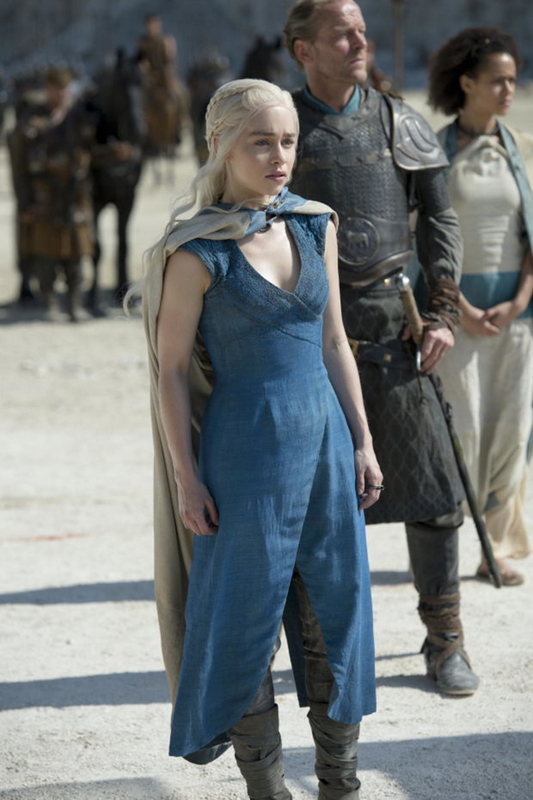 Daenerys’ right-hand woman used to wear soft, flowing garments that complement her cool and calm demeanor. Once war approached them in season six, though, she wore this two-piece structured leather ensemble featuring a cropped top to show her fighting spirit. Needless to say, she killed it! 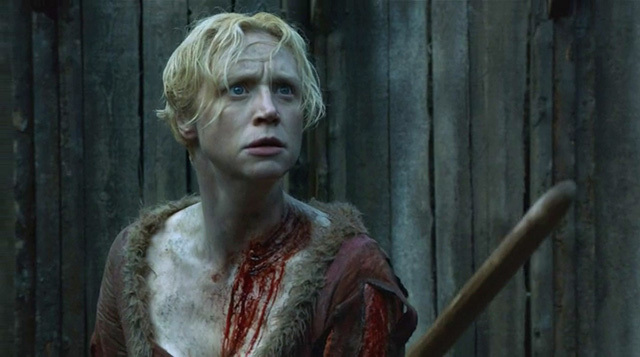 The Arya Stark we know might scoff at the idea of joining this list. However, the best kind of couture has never been limited to traditional garb and blurs the lines between what is perceived as masculine or feminine. 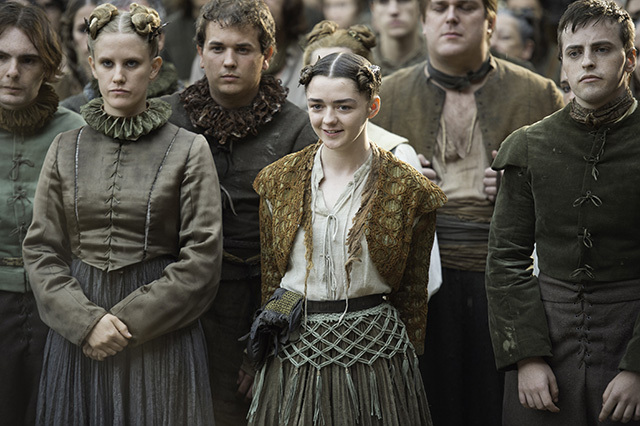 Arya’s androgynous style fits right in! 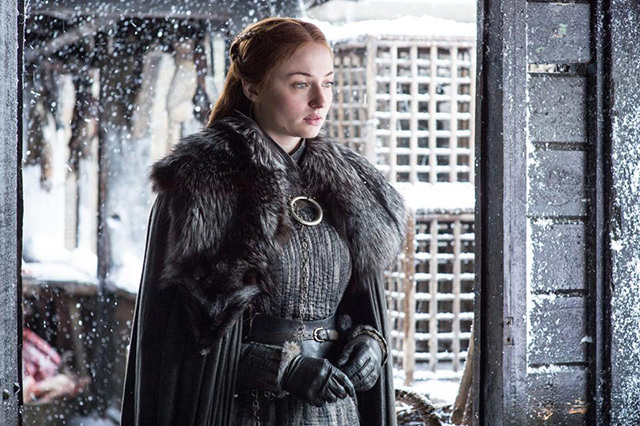 Our favorite looks happen to be one of her disguises as an oyster seller and her current Winterfell armor reminiscent of her father Ned Stark's. The matriarch of the Tyrell House has always been on point in terms of fashion, giving us looks as sharp as her barbed remarks. 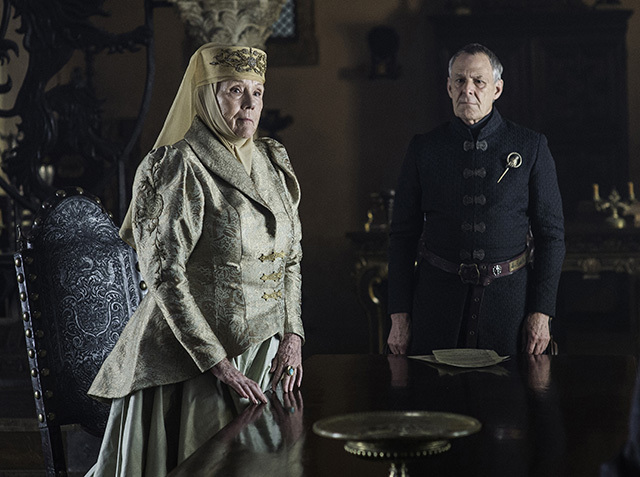 Lady Olenna proves that you can look good at any age even when you’re facing imminent death at the hands of the Lannisters. 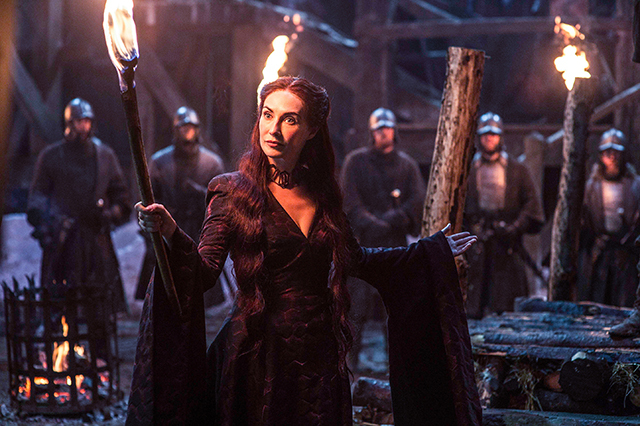 While serving the Lord of Light, she also served us fierce looks. The Red Priestess reminds us of the chic Morticia Addams in a deep V-neck burgundy gown that flares at the bottom. Ellaria’s skin-baring clothes represent the liberated Dornish culture that knows no discrimination. 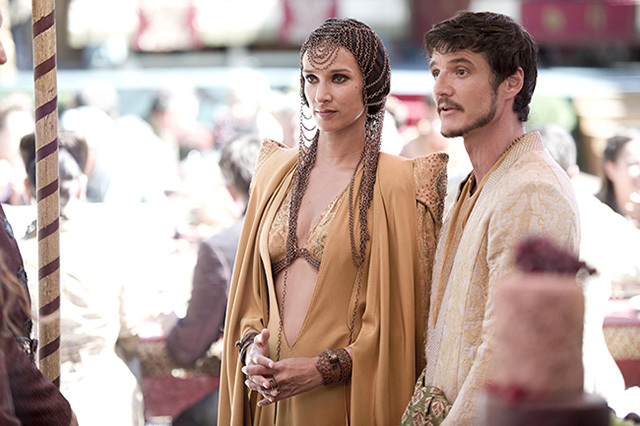 Her best moment was definitely at Joffrey and Margaery’s wedding when she wore a beautiful beaded headpiece with a powerfully constructed cover-up. 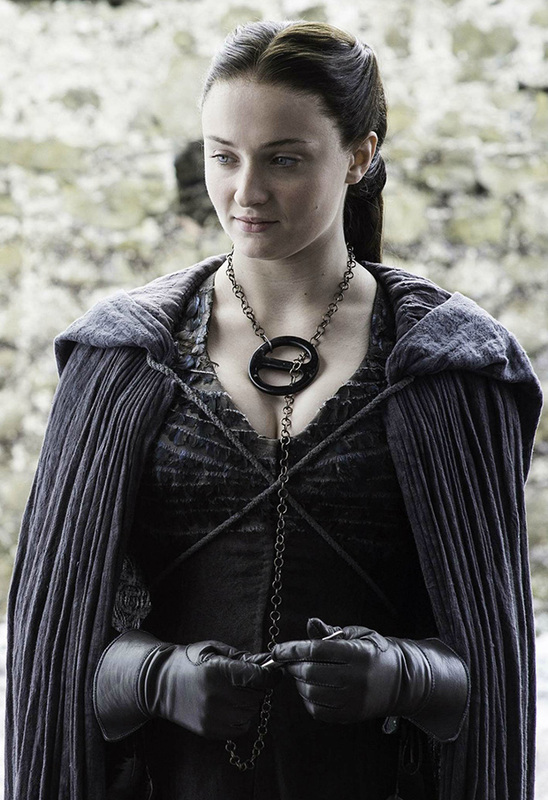 FYI, Sansa is also a skilled seamstress and made this dress out of messenger ravens. 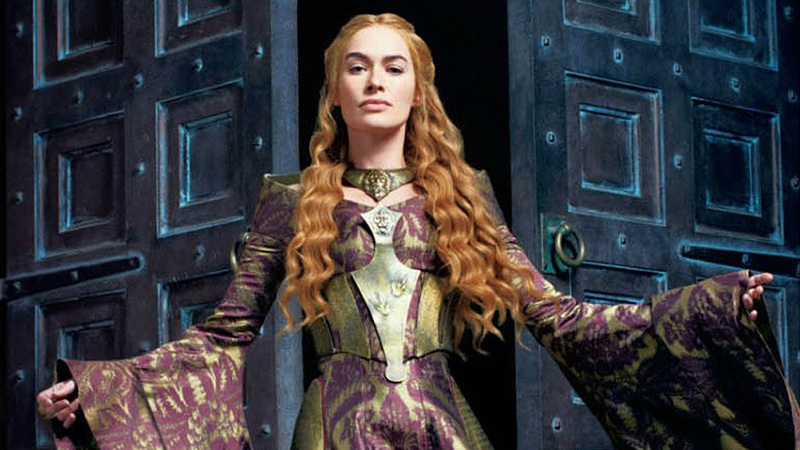 She could start her own fashion house in Westeros! Sansa has the most relatable fashion journey as it took her several seasons to finally establish her own aesthetic. Lady Stark’s style evolved as she gradually matured throughout the series. First, she tried mimicking Cersei and Margaery and, eventually in season four, she came into her own. After a series-long struggle of feeling like a victim, she’s finally come into her own and taken control of the situation. Sansa has had to hide her Stark heritage at the Vale. She dyed her hair brown and wore a striking black gown adorned with Raven feathers, almost signaling that she’s become a wiser and more formidable contender. 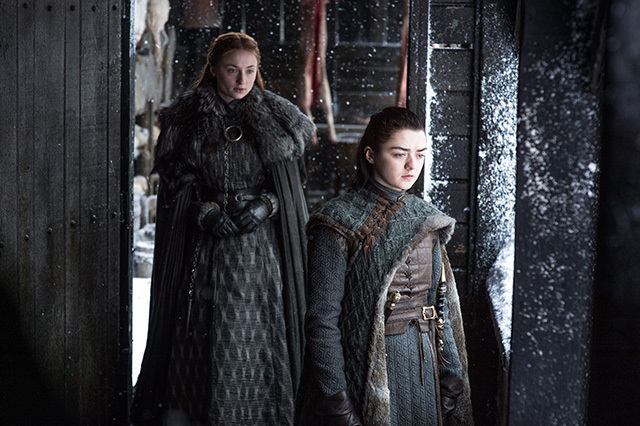 Seeing her emulate her mother Catelyn Stark’s style in season seven also made us nostalgic when she took charge in Winterfell. 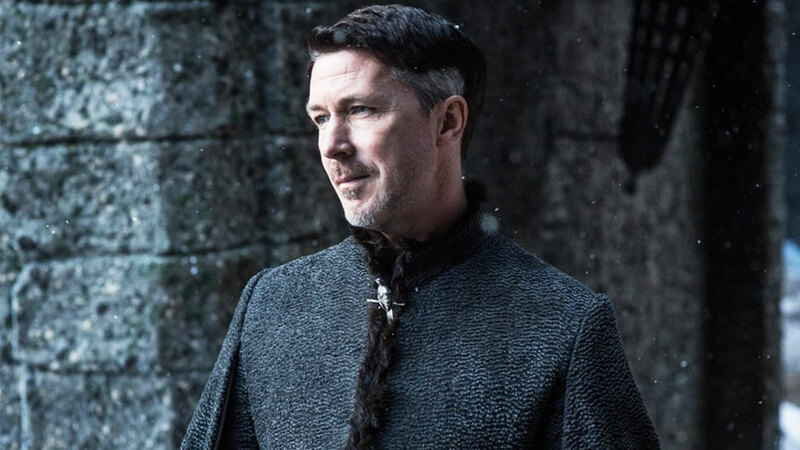 Margaery’s aesthetic was so influential that she set a whole new trend in King’s Landing (much to Cersei’s irritation, of course). She always looked fresh and was adored by the masses. She was also skilled when it comes to having to adapt to constantly changing circumstances. 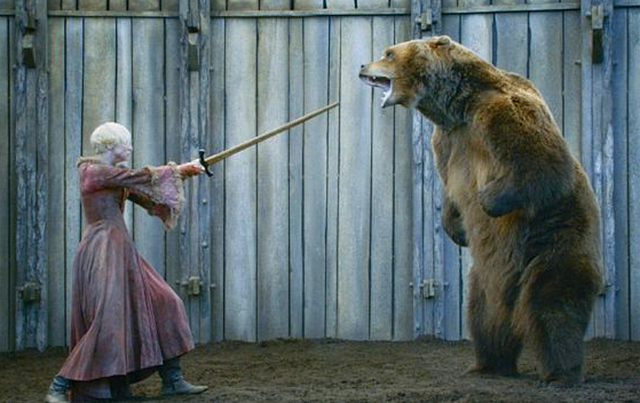 It’s no wonder she was able to snag not one, not two, but three Baratheons. 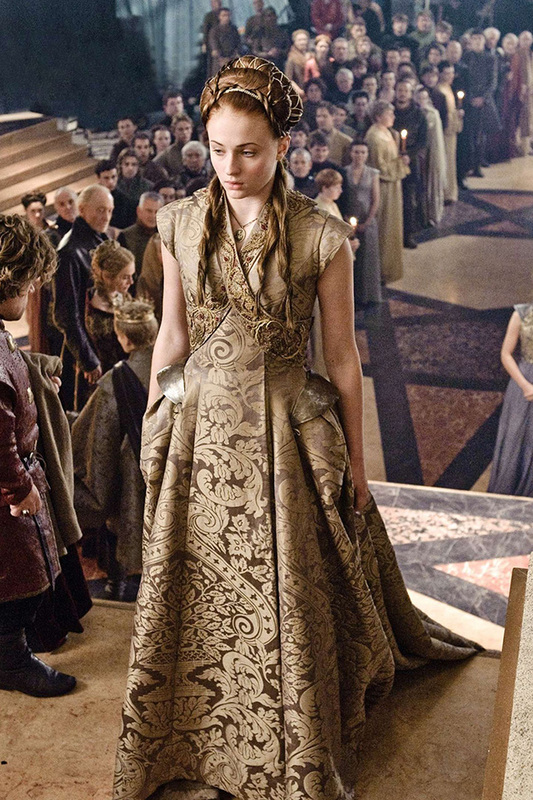 She proudly wore her House sigil all over her gowns and was known for her backless dresses and cut-out details. 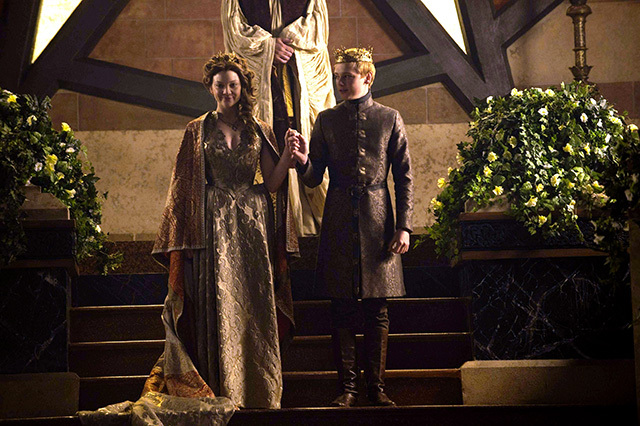 We love the blue and gold dress that Margaery wore upon meeting Sansa, as well as the golden caped gown she wore to her wedding to King Tommen Barratheon. She really exuded the style and confidence befitting a queen. The category is opulence! 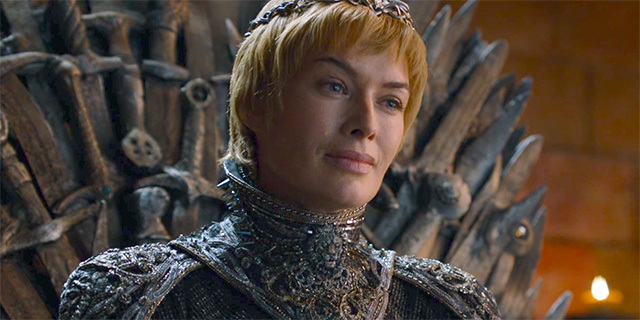 If there's anyone who best represents the maximalist lavish lifestyle of King’s Landing, it’s the current reigning queen herself, Cersei Lannister. Her signature style consists of a Kimono-type wrap dress, long flared sleeves, intricate beading, and metal plating. 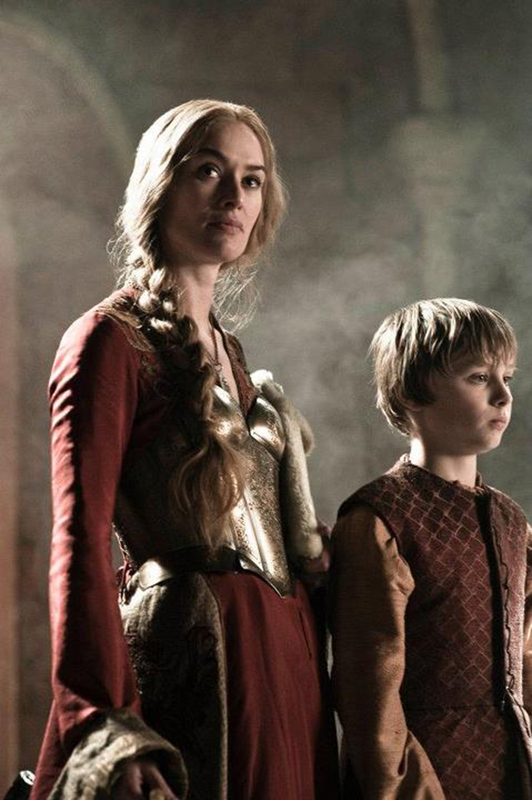 As she tersely explained when Margaery mentioned her armor, Cersei is always ready for war. The battle of Blackwater was peak Cersei donning her usual silhouette dyed in deep red Lannister and golden corset plating. Season three offered a more elaborate version in an almost purplish floral gown and metal plating. 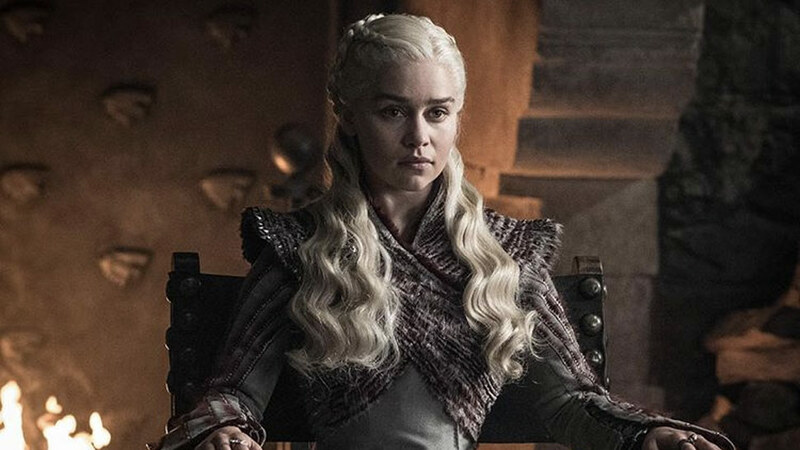 She also did her fair share of power dressing in season seven as she sat on the iron throne in military style chain mail looking eerily similar to her father, Tywin Lannister. Holy Mother of Dragons! Bow down to Daenerys Stormborn of the House Targaryen, First of her Name, the Unburnt, Queen of the Andals and the First Men, Khaleesi of the Great Grass Sea, Breaker of Chains, Mother of Dragons, and Ultimate Fashion Icon. Her fashion exploration is just as vast as her journey toward the Iron Throne. 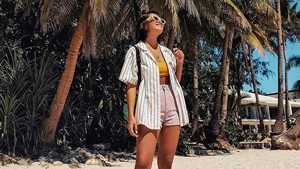 With every stop she makes at an exotic locale, she is able to adapt to the culture like a fashion chameleon. You could never mistake her dresses for anyone else’s! 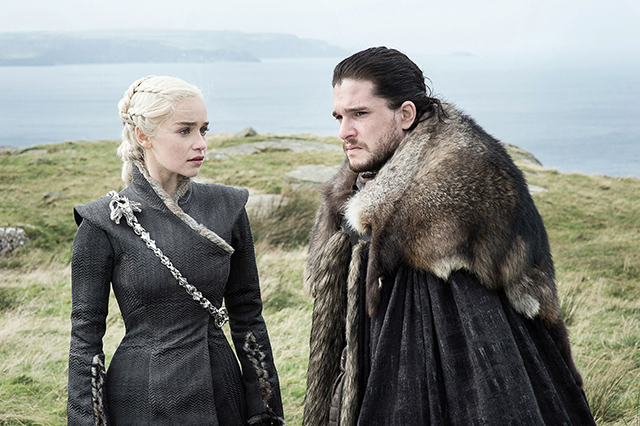 We're obsessed with her cozy couture riding gear that she wore to save Jon Snow from the White Walkers. Her most memorable look is the bright blue dress with embroidery mimicking dragon scales (care of principal costume embroiderer Michele Caragher); this was the moment we realized that she was starting to own her reputation. 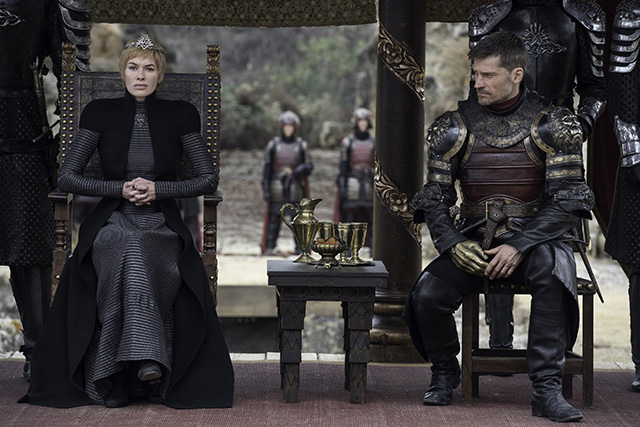 Season seven had her suiting up in a military style red and black ensemble, which not only mirrors Cersei’s own look but also is a major shout-out to the colors of House Targaryen. She’s not a mad queen but a fierce queen! 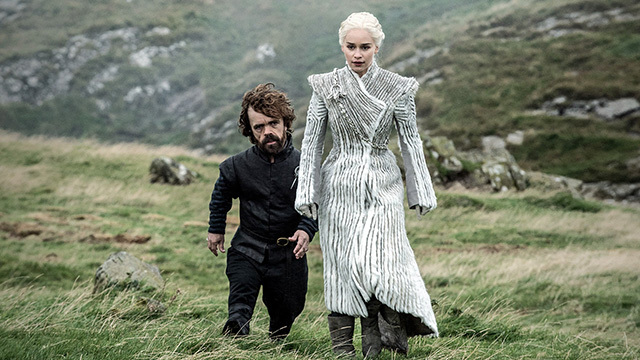 The Night King better run, because we have zero doubt that she'll set the Seven Kingdoms on fire with her killer wardrobe.